As a parent, you need to provide so many things for your children when they are growing up. Ensuring healthy sleep is one of them. The wrong mattress can not only affect sleep quality but also have radical consequences regarding their health and development. Purchasing a high-quality mattress for your kids mean providing a supportive, comfortable sleep surface for them throughout their childhood. Some mattresses can even continue accommodating them through their adolescent life. Read our latest guide about the best single size memory foam mattresses. What Is the Right Age for Children to Have Their Own Bed? New parents must be wondering about the right age from transferring the kids from their cot bed to a real bed with a mattress. Well, it is better to wait until the child is 3 years old. But, many parents do it earlier depending on their personal preference or the child outgrowing the crib. Read our complete guide about the best cooling mattress pads. Many parents also don’t know when to change the mattress. Well, you should change the old mattress every three years when your kid is between 3 and 10. The interval should be every 5 years when the kid is between 10 and 16. Of course, the duration will be shorter if the kid has a bed-wetting problem or the mattress loses the shape for any reason. The kid’s mattresses are generally of twin size. But, you still have to have some ideas about the dimensions before going shopping. For younger children, a 12-inch or less depth is fine. Older kids can climb even thicker beds. There are two types of twin mattresses – Twin and Twin XL. You can always use the XL size if your child’s growth rate is better than their age. These are the most common type and budget-friendly. You can squeeze them into a small room and they are perfect for small kids or those who don’t weigh much. With the standard measurements of 39 x 75 inches, these are narrow but full-length mattresses. A twin XL mattress still has the same width but it is longer. These can accommodate a growing child for a few more years. Their dimensions are 39 x 80 inches. There are many considerations when you are shopping for a mattress for kids. Many children can grow double in height and weight by the time they become teenagers, outgrowing the mattress. It encourages many parents to go for a cheap mattress. But, you should not do that. A mattress should have some certain qualities to make sure that the sleeper enjoys a sound sleep without growing any pain in the back or neck. 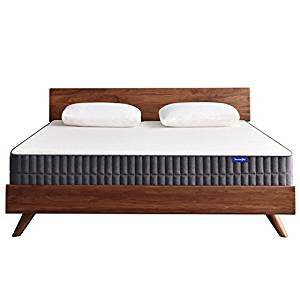 The mattress type and quality of the materials used are important since these things determine the factors like support, stress relief, and coziness. For example, you should purchase a soft mattress like memory foam or latex for kids who sleep on their side. A softer bed sinks enough to align their spine. Similarly, a firmer innerspring mattress is the best choice for children who sleep on their back. A hybrid mattress will suit better the stomach sleepers (which is a bad sleeping posture, by the way). 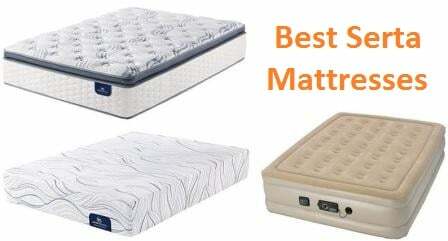 The foam and latex models are the right choices if you are looking for anti-bounce mattresses. Kids like to bounce on the bed and may hurt themselves while doing it. Unlike innerspring or hybrid models, these types offer very little to no bounce. The fillings of the mattresses mostly determine their quality. Innerspring ones have the cheapest type of stuffing such as foam and polyester fiber. The pocket sprung models are better because their filling is more natural materials such as cotton, wool, cashmere, etc. There are several layers of different elements consist of a mattress. It could have foam, fabrics, wool, latex, springs, and/or coils. The quality of each material forms the quality of the mattress. For example, the density and origin of the foam are important when it is a latex or foam mattress. Higher spring counts and lower gauge numbers are important when you are looking for an innerspring mattress. A kid’s mattress has to be supportive, keeping their spine and bones aligned. It has to be firm if your kid is still at the infancy because their bones develop at a quicker rate. A mattress with proper support features will reduce the baby’s fidgeting, tossing, and turning throughout the night – ensuring comfort and good sleep. You should change the bed that tends to sag. It won’t support a child’s growing body and put extra pressure on the lumber and lower back areas. Some mattresses flip to adjust the firmness but the feature is not available for all models. The spine and neck have to be in a neutral position to reduce stress in these areas and allow the spine to grow. Sleeping on an unsupportive mattress for 10 to 12 hours may cause the spine to suffer permanent deforming issues. The bed has to be soft enough to provide comfort and firm enough to prevent the sink-in. Memory foam, latex, hybrid, and pocket-sprung mattresses are the most supportive variations. You have to find out which one will be the best choice for your kids. The strong pocket springs cradle various types of body shapes. The design of the springs also promotes airflow, ensuring no sweat while sleeping. Memory foam wraps around the body contour and reduces the bounce effect – more suitable for children who sleep restlessly. But, the surface can sag after a few years if the foam is not good quality. Latex mattresses are also soft. Their breathability makes them great choices for warmer seasons. Plus, there won’t be any extra pressure on sensitive joints. Polyester mattresses have the lowest quality but not a bad option when the budget is tight. You will still have a relaxed surface to sleep on if not the most comfortable. Children are rough users. So, a kid’s mattress has to be durable enough to take a beating. It has to go through the wringer because of numerous slumber parties, being used as a trampoline, and cuddling with pets. The mattress should last a couple of years despite enduring all these things. Some brands furnish their products with some add-ons that add more value. Plus, these bells and whistles make these mattresses stand out of the rest. When you purchase a product for your children, you want it to be safe for their health. In that case, a mattress with the CertiPUR-US certification is the right choice. Administered by a not-for-profit organization, the program acts as the watchdog for the foam industry. Contain ozone depleters, formaldehyde, and heavy metals like lead, mercury, and other substances. Have any flame retardants like TDCPP, PBDEs, and TCEP. Carry phthalates (a substance used in plastic products to increase their lifespan, transparency, and flexibility). Emit a high volume of VOC (volatile organic compound). In fact, the ratio is less than 0.5 parts/million. Also, there is a range of hypoallergenic mattresses. They are the best option if your kid as allergies, asthma, or sensitive skin. Dust mites cannot live in them, creating a healthy sleeping environment. Cotton, natural latex, silk, and pure wool are naturally hypoallergenic. Synthetic materials are also a good choice because their fibers don’t harbor mites and bacteria. Don’t purchase innerspring or pocket-sprung mattresses in that case unless you are investing in a hypoallergenic and antibacterial mattress protector. 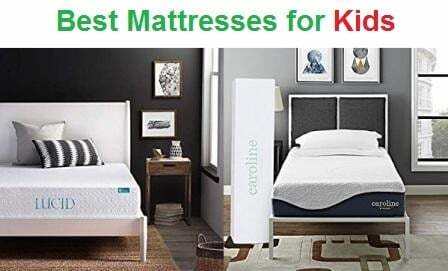 The Pure Echo from My Green Mattress is an expensive but high-quality choice when it comes to kid’s mattress. Featuring a standard design, the mattress is firm enough for proper support without sacrificing the comfort factor. Purchasing it will be a practical decision if you have the budget. The Pure Echo will definitely serve you for years to come. The Pure Echo is an innerspring mattress that consists of three layers of materials. It is one-sided – the double-sided design costs almost $200 more. The 57 pounds of weight is heavy but not totally unmanageable. It comes to the full shape almost immediately after unpacking. The exterior of the mattress is a quilted cover – made of pure organic cotton and stuffed with natural wool. The next part is an organic cotton batting that works as an insulator. The innermost part is a three-zone pocketed coil spring system. The head and foot areas have 15.5-gauge coils while the central third part provides solid lumbar support with 14.5-gauge coils. The handcrafted mattress contains organic cotton and natural wool, which are hypoallergenic and natural flame barrier. The button-tufted exterior bestows the cover with longevity. You can lay the Pure Echo mattress on any flat, firm bed-frame. The performance won’t degrade even of you place it on the floor. The mattress contours around the body but is firm enough to reduce motion transfer and provide proper lumbar support. It is responsive but takes some time to adjust to a changed sleeping position. The edge support is excellent as your kid can lie there all night long in any sleeping position. Sitting on the edge is also secure. The child will get exceptional support when sitting there or bending to tie the shoelace. The Pure Echo keeps the spine – from the neck to the tailbone – in a straight line. It is also good for relieving pressure from the key areas – shoulders, hips, and thighs. However, the shoulders and hips may develop some red spots at the beginning. The Pure Echo is GREENGUARD Gold Certified. It means that both children and elderly people can use it without any safety risk. Also, it is safe to use in schools and healthcare facilities. The organic cotton used in the mattress is GOTS certified. All the materials are hypoallergenic and don’t contain any toxic flame retardant. My Green Mattress offers a 100-night sleep trial and 25 years of warranty for the Pure Echo mattress. However, if you want to exchange, they will exchange it for a new one, not a different size. Also, one household will be eligible for only one exchange. 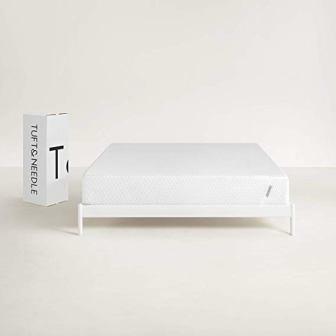 The T&N is the flagship mattress of Tuft & Needle. Available at less than $400, the product has every quality that makes a good mattress – pressure relief, support, and cooling effect. The brand applies a simple philosophy while making their products – make them comfortable so people can sleep easy. The mattress is delivered rolled up. It takes at least 72 hours to fully expand. There could be some odor but it will faint away within a few days. The T&N has a polyester/Tactel blend cover that is stretchy, thin, and promotes airflow. Tactel is a cotton substitute that offers excellent temperature regulation. Beneath the cover is two layers – a 3-inch PCF polyfoam comfort layer and a 7-inch polyfoam base. The 2.9 pounds of comfort layer is responsive and offers good bounce. It is unlikely to give the sleepers a sink-in feeling. The layer also has a cooling gel and heat-wicking graphite, making passages for airflow. The 1.8 pounds base gives the mattress a solid structure and lends it durability. There is no transition layer between the two pieces of foam. Anyone who is weighty or rolls on the bed too much will feel the firm base layer. Tuft & Needle uses adaptive foam for this mattress, claiming it to be higher in quality than memory foam or latex. It offers a balanced mix of firmness and softness, localizing bounce and relieving joint pressure. The adaptive foam mattress offers great support for back and stomach sleepers. The side sleepers may feel a slight pressure on the hip and shoulder areas but not to the point of developing chronic pain. The body weight distributes evenly when you lie on the back. It means the lower back region gets proper support. Similarly, lying on the stomach also distributes the weight and pressure across the body. The edge support is also great for the back sleepers. But, other sleeping and sitting positions may cause sinking along the bed’s perimeter. The T&N mattress is safe for the health of children because it has CERTI-PUR and GreenGUARD certificates. Tuft & Needles offers a 100-night sleep trial and 10-year limited warranty for this product. The Performance from Sealy is a great twin-size mattress for your kids. With a unique structure and using quality materials, it makes sure that children get proper sleep. It provides a great balance of comfort and support so that everyone can sleep in ease and wake up in the morning refreshed. The mattress is higher in quality than the China-made products because its design and production are done in the United States. The 12.5-inch thickness and the use of foam materials and innerspring coils make sure that there is proper softness built around a firm base. There are four types of patented foam layers in this mattress sitting on a special coil base – providing softness and deep support. Each coil in the Pro Encased coil system moves independently, to minimize the impact of movement and provide more targeted support. However, the initial odor could be a problem, especially if you are living in a studio apartment or a small bedroom. It takes almost a week for the chemical smell to disappear. It could be painful for people who have asthma or breathing problem. The Sealy Performance mattress corrects the sleeping posture and reduces back pain within a few months. The application of Posturpedic Technology makes sure that the key pressure points have reinforced support. The 2-inch layer of SealySupport foam further enhances this feature. Kids who sleep hot will find this mattress comfortable due to the SealyCool cooling gel-infused memory foam layer and the MoistureProtect cover that helps drying up the moisture. The DuraFlex edge system offers superior edge support because of the high-density coil border. There is nothing to worry even if your child rolls toward the fringe during sleep. If you have any doubt about the quality, Sealy reassures you with a 10-year of limited warranty. Casper Sleep is determined to reward their customers with sound sleep during nights. The 10-inch memory foam mattress combines two technologies to provide supporting comfort. It offers just the right sink and the right bounce. The price is just shy of $600, which is a bit on the higher side for a twin mattress. Designed and produced in the United States, the mattress is all about quality. Consisting of four separate tiers – 5-inch polyfoam, 1.5-inch transition foam, 1.5-inch memory foam, and 1.5-inch open-cell foam. The cover is polyester. The mattress is available in only one firmness level. The polyfoam part is the base and forms the core of the bed’s support. The memory foam interlayer contours around the body shape to take the pressure off the key joints. The transition foam adds some bounce so that you don’t feel the base when lying down on the mattress. The open-cell hypoallergenic latex foam reduces motion transfer and helps with the airflow. It is important that a child’s body stays in the correct posture when they sleep. 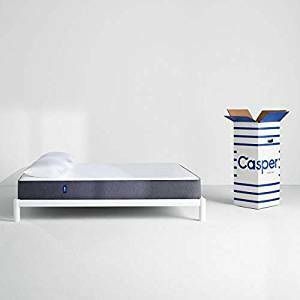 The Casper mattress uses firmer foam in the hip region and softer foam in the shoulder area to provide the right support to keep the body, especially the spine, properly aligned. If your child has any condition that hurts the muscles and joints, this mattress can help to relieve the pain. Also, it keeps the back pain in check. The latex foam keeps the sleeper cool unless the weather is very hot. Don’t use a waterproof cover because it will block the airflow and make the mattress hot. The mattress has an overall soft feel but the firm base ensures the right amount of support. An adult may find it sinking but it is unlikely to be a problem for a kid or a teen. The edge support is unsatisfactory because the borders are reinforced. It still retains the shape due to the strong base. The mattress has the CertiPUR certification. The Consumer Product Safety Commission also gives it a green signal for low VOC emission. Casper offers a 100-night trial period and a 10-year warranty for the mattress. This Leesa redesigned this memory foam mattress, making it better than its previous products. It comes with a different comfort layer to provide a cushier feeling and be more efficient in relieving pressure. 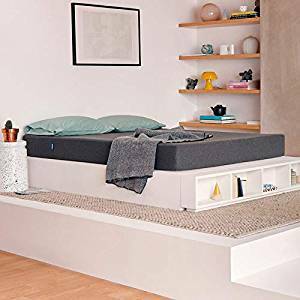 At less than $400, it is a perfect budget-friendly choice if your kid likes to sleep on a bed that is slightly on the harder side. Designed, assembled, and produced in the United States, there is no doubt about the quality of this mattress. You can place it on any type of platforms, even on box spring as long as there is no coil. It will do fine on the bare floor. The mattress has three premium foam tiers – a 2-inch proprietary foam (LSA 200), a 2-inch memory foam, and 6-inch polyfoam base. Together these foam materials contour around the body shape to relieve pressure and provide a cooling effect. The cover fabric is a thick polyester blend – which is soft and cozy. The comfort layer in this mattress is LSA 200 foam instead of the Avena foam used in previous models. The new material is a bit less thick but as bouncy and responsive as the Avena foam. It promotes better airflow and keeps the sleeper cool in hotter days. Leesa claims this mattress to offer a Universal Adaptive Feel. It means that it will adapt to your body type, contour around the curves, regardless of your age or sleeping style. The mattress offers a medium firmness – providing pressure relief without acting like quicksand. It does sink a little but the responsive top layer and the firm base hold the shape up and keep the sleeper positioned squarely. You will get the contouring comfort but also move around easily. Both back and stomach sleepers will love the firmness of the Leesa mattress. The side sleepers may prefer a little bit softer structure for deep body contouring and sinkage. They can feel a tad of pressure on the shoulders and hips but it does not cause any pain. The edge support is not the best. But, sleeping near the fringe does not feel like you will roll off the mattress. Sleeping on the periphery is still secure although it does collapse. Leesa offers a 100-night sleep trial so that you get enough nights to determine whether this mattress fits your comfort and support requirements. Plus, the 10-year of limited warranty offers further protection for your money. The hybrid mattress is a flagship product of Berger & Strauss. At less than $350, it brings luxury and comfort to your sleeping arrangement. The eco-friendly tag makes it even more appealing as using it means you are promoting green living. The hybrid mattress takes almost a day to fully expand and off-gas. It carries some weight (89 pounds) so setting up could require two or more adults. The mattress is made of memory foam, fiber pockets, and spring coils as the base. The bamboo-infused Jacquard cover is eco-friendly and has a luxurious texture. Sleeping on it offers a plush comfort that is hard to find in mattresses at this price range. 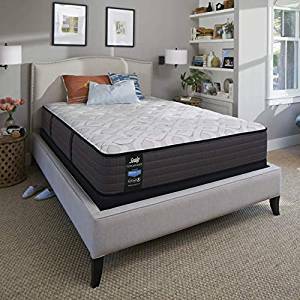 Beneath the cover is a 2-inch layer of quilted memory fiber pockets, 2-inch high-density memory foam, one-inch viscolatex foam, and a 9-inch base featuring independent coil system. The memory foam layers offer breathability and mold to the contour of the body. The spring coil base cuts movement and bounce in addition to relieving pressure. The mattress has medium firmness – not too soft or hard. Berger & Strauss applies memory fiber technology to the foam layers so that the sleeper’s spine stays aligned. It does not put any extra pressure on the joints and key zones. The MySupport Independent Coil System further helps in taking the pressure of the key joints. All these features contribute to a pleasant sleeping experience across the night. The cooling effect of the memory fiber pockets is not as effective as cooling gel. But, it is an eco-friendly choice and contains less harmful ingredients. In addition, the bamboo cover promotes airflow, allowing the moisture dissipate easily. Some heat retention is expected due to no cooling gel in the memory foam but it won’t be intolerable unless you are living in a hot climate. However, the fans of sustainable living will definitely love it. Berger & Strauss has taken the eco-friendly way while manufacturing this mattress. Plus, it has the Certi-PUR US certification, which means there is no heavy metals, formaldehyde, and flame retardants. The mattress comes with 101-night risk-free trial. It means you will have more than three months to decide whether it suits your sleeping style or not. Any child fond of sleeping on medium-firm bedding will love the memory foam mattress from Sweetnight. Having a high-density supportive foam later and a tier of cooling gel infused memory foam, it contributes to a healthy sleeping experience. The price is less than $300, something for the parents to cheer about. The Sweetnight twin mattress fits all types of frames. You can place it on a box spring, flat platform, slatted base, bare floor, or even on a hospital bed. A rayon cotton fabric cover holds together three tiers of foam. The uppermost part is a 2-inch gel-infused memory foam while a 3-inch high-density foam layer makes the supportive base. In between them lies a 5-inch open-cell comfort foam layer. 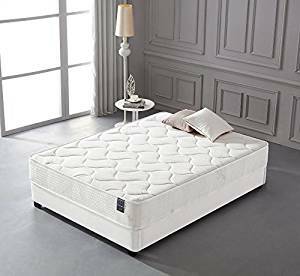 You will never sleep hot in that mattress because the rayon cover and the layers of memory and open-cell foam are breathable and offer free passages for sufficient airflow. The rayon cotton cover is hypoallergenic, which is a great relief since your kids will sleep on this mattress. There won’t be any growth of mold, mildew, and bacteria. The middle comfort layer is divided into three different zones. The middle part of the comfort foam is firmer to ensure a cradling comfort without the sinking feeling. While the top layer is all about relaxation, the middle and base parts strike balance by adding firmness. The comfort layer takes extra pressure off the joints and key areas, reducing muscle pain and nurturing inflammation. The base part absorbs motion and offers additional body support. It is a two-sided mattress, which means you can sleep on both sides. If the top side with the memory foam layer feels too soft, just flip over and sleep on the medium-firm bottom side. However, the base part may still not be firm enough for many sleepers. The CertiPUR-US certification confirms that the mattress is free of certain harmful substances including heavy metals and formaldehyde. The rayon cover is naturally hypoallergenic, which means there will be no breathing problem or asthma attack. Sweetnight backs the product with a 10-year old warranty. The period is impressive considering the moderate price tag. 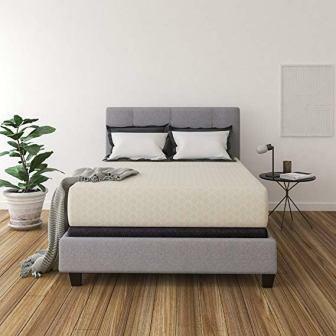 From the looks that could fit a deluxe hotel room to excellent sleep-time comfort, the Caroline mattress from Modway offers all the desired bells and whistles at an affordable price. The less than $300 price appears to be a steal of a deal when compared with other high-end competitors. 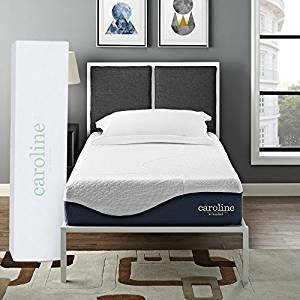 Delivered vacuum-packed as a tootsie roll, the Caroline mattress takes 2 to 4 hours to expand to its full shape. A chemical odor is annoying but it will go away within a couple of days upon keeping the windows open. It comes with a detachable stretchy cover, polyester mesh, and non-slip bottom. Place it on a platform or box spring, as you like. It is suitable for slatted bases too but the slats should not be more than 3 inches apart. Caroline has three distinct tiers of foam materials. Under the patterned stretch knit polyester cover, there are layers of open-cell memory foam, gel-infused memory foam, and responsive base foam. Say goodbye to the aches and pain caused by sleeping on traditional mattresses. The responsive Caroline mattress allows you to sleep peacefully. It quickly dissipates the body heat, contours around the body shape, and cradles you to sleep. It reduces motion transfer, bounces, and takes pressure off the muscles and bone joints. Unlike other memory foam mattresses, Caroline makes sure that your kid does not sweat during the night. The gel-infused memory foam layer creates a cooling effect while the top open-cell tier and the cover keep the air moving. If your kid suffers from night sweats, you can use an extra mattress cover. Don’t purchase something that blocks liquid though because it will cut off the airflow and not disperse the body heat, making the sleeper feel hotter. Modway claims it to be a firm mattress but you can label it to the medium. It might not be a problem for a kid unless they are overweight. The mattress does not contain any harmful chemical ingredient. It has the CertiPUR-US certification so you can rest easy. If your kid is having difficulty in having good sleep, invest in this Pure Green natural latex mattress from Sleep on Latex. The price is almost $600, but it offers great value for money. 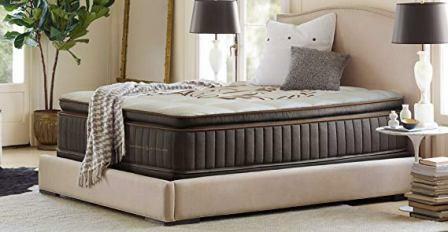 With medium firmness, it ensures you get restful sleep throughout the night. At 80 pounds, the mattress is really heavy. You will need extra help to carry the package and set it on the bed platform. It inflates within no time but the chemical odor takes a long time to dissipate. The quilted cover is made of organic cotton and contains a one-inch layer of organic New Zealand wool. 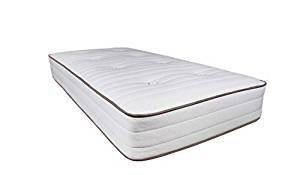 The mattress has two pieces of not blended or synthetic but pure natural latex foam. The 6-inch base creates a strong, supportive foundation while the 2-inch softer Dunlop latex on top of it offers snugly coziness. The Pure Green twin mattress is medium firm, which is great for side and back sleepers. The stomach sleepers may prefer a firmer version but a child will sleep just fine on it since they are not as bulky as the adults are. The firmness is perfect for kids who move a lot while sleeping. It reduces bounce and motion transfer so constant tossing and turning won’t put the spine in an incorrect position. It sinks just enough to support the pressure points without swallowing the whole body. You can purchase a 2 or 3 inches thick latex topper if you want to make the mattress firmer. 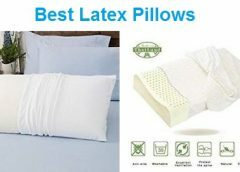 The natural latex mattress does not harbor dust mites or bacteria. It also has the GREENGUARD Gold Certification, ensuring that there is no toxic ingredients and fire retardant chemicals. The customers will get a 100-night sleep trial for all beds in the Pure Green line. You will get a full refund if decided to return it within this period. Casper Sleep is a popular name in the mattress industry. Their Essential memory foam mattress is definitely a good choice in a moderate budget. The brand always strives to provide quality and comfort with innovative design and engineering. With the Essential, it delivers. Despite being 8.5 inches thick, the mattress is surprisingly light – less than 38 pounds. One adult person is enough to carry the package to the bed frame and set it up. Essential is compatible with all types of frames, except for a traditional box spring. However, if you like the height of it, use a Casper foundation on the frame before laying the mattress down. Avoid metal, wire, and curved slat frames too. The exterior cover is polyester. It is not as comfortable as cotton fabric but still thin enough to let air flow. The first layer is a 2-inch polyfoam and then there is a one-inch memory foam between the top tier and the 5-inch base. The top layer dissipates body heat due to the open-foam construction. It also helps with releasing pressure from the key areas. Its responsive nature is the reason for the mattress to retain its shape for years. Also, it does not make the sleeper feel stuck when they move or try to adjust their posture. The memory foam part is there to add bounce and provide contouring comfort. It traps the body heat but it won’t bother much unless the room is extremely hot or your kid sweats too much. The bottom layer is dense and firm enough to hold the shape of the mattress. It enhances the bed’s lifespan and provides the necessary support that children need while sleeping. Light sleepers who experience hip and shoulder pain will love the Essential mattress. The two distinct levels of pressure relief and the deep compression support will correct your posture and keep the pain in check. The Essential mattress has the CertiPUR-US certification. The Casper Sleep uses chemicals that are not harmful to the ozone layer. Like all the renowned brands, Casper also offers a 100-night sleep trial and a 10-year warranty for this product. Zinus is known for manufacturing low-cost bedding products. When the budget is tight but you have to purchase a new mattress, the brand’s 12-inch memory foam mattress could be a good choice. At a little more than $200, you will get a comfortable, pressure-relieving mattress for years to come. The mattress inflates immediately after taking out of the box. You may still want to wait a day or two for allowing it to plump up to the full shape. The mattress consists of three distinct layers of foam. The top comfort tier is 3-inch of memory foam and the bottom foundation part is a 6-inch polyfoam. The middle support layer is a 3-inch transition polyfoam. Wrapping them up is a microfiber quilted Jacquard fabric cover that looks luxurious and has a plush feel. Zinus keeps the use of chemical elements to the minimal by applying natural ingredients to the mattress. The memory foam layer is treated with charcoal, green tea, and natural plant oil to reduce the trapping of body heat and the chemical odor. However, the presence of a 3-inch thick memory foam layer just underneath the exterior cover and no application of cooling elements mean that the mattress sleeps warmer. The Jacquard fabric cover and the top memory foam layer provide a comfortable surface. But, the mattress is not cloud-like as Zinus advertises. It actually feels firm due to the thick transition and base parts. So, side sleepers who need the mattress to shape around their body, especially shoulders and hips, will find it quite uncomfortable. The mattress will still be comfortable for a kid but the firmness will be felt along with their growth and gaining weight. The pressure relief is satisfactory and the performance is impressive when it comes to cutting bounce and motion transfer. Zinus assures their customers with a CertiPUR-US Certification and 10-year of limited warranty. 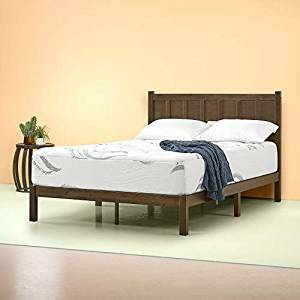 Looking for a quality twin mattress on a budget? 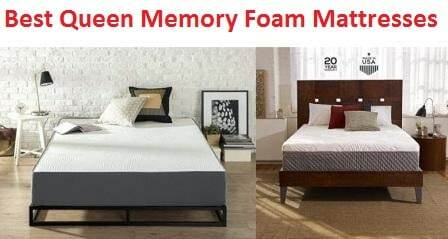 Stop your search now and purchase this Chime Express memory foam mattress from Ashley Furniture Signature Design. The less than $200 price range is a steal of a deal compared to many high-priced big brand products. The mattress is delivered rolled in a box for your convenience. It will decompress automatically after taking out of the package. The corners may take longer to be fully plumbed. It consists of a stretch knit cover, a 2-inch memory foam, and a 10-inch support foam. The materials do not contain any toxic ingredients so there is no health risk. The mattress is very firm. The 10-inch hard support foam and no layer of transitioning foam have added to that firmness. It is only suitable for those who are stomach sleepers or who like to sleep on a hard surface. Adding a 2 or 3-inch thick cover will soften up the surface a bit and back sleepers will get respite. But, don’t purchase it if your child is a side sleeper. Due to the highly dense support base, the mattress relieves pressure from muscles and joints. It also reduces motion transfer, ensuring a sound sleep for those who turn and toss a lot. The materials used in this mattress are hypoallergenic. They stave off mold, dust mites, and pet dander. Your kid is safe even if they have a breathing problem or suffering from allergies. 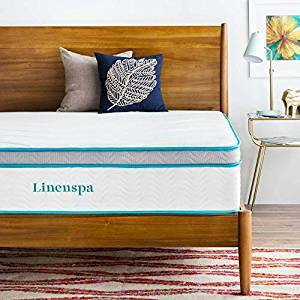 Why would you pick the Linenspa 12-inch hybrid mattress when there are plenty of big name brands out there? It is because of the unbeatable price and the versatile features for all types of sleepers. The less than $250 price is budget- friendly and it is equally suitable for kids, teens, adults, and elderly people. The mattress expands almost immediately after the unpacking. But, you should wait two to three hours before jumping onto it. There is a chemical odor and it will take a few days to disappear. You can place the mattress on any bed frame. However, a lower platform will be a better option since it may slide a few inches every day if placed on a box spring. The construction features the exterior cover, 3-inch memory foam, one-inch comfort layer, and 8-inch coils. The coils are wrapped with a support foam layer around the edges. The mattress is highly stable due to the high-dense spring base. The padded insulation around the springs adds to the durability. One thing this mattress ensures that your kid will never weak up sweating in the middle of the night. The memory foam is infused with cooling gel and the spring layer offers excellent ventilation. As it is a hybrid mattress, the balanced combination of foam and springs works together to increase the sleep quality. The hybrid nature strikes a chord between comfort and support. The mattress is medium-firm – does not feel too soft or too hard. But, the plush memory foam layer does create a bit sinking issue. It could be a problem if the kid has the habit of moving a lot while sleeping. Linenspa offers a standard 10-year of warranty for this product. The mattress also has CertiPUR-US certification, making sure that there is no ingredient harmful to human health. 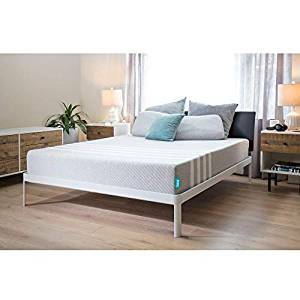 A quality twin memory foam mattress at less than $200! Yes, please! 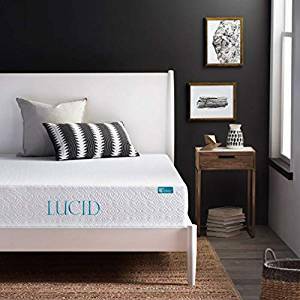 Lucid can supply high-quality products at such a low price because they cut the hefty retail markup. The brand believes that their customers deserve better and they make it sure by using high-quality materials in this mattress. The mattress is shipped rolled in a box and it weighs just 39 pounds. So, setting it up is not a hard task. Unlike other mattresses, it may take a few days to decompress into the full height. The odor also takes a couple of days to go away. The mattress has two tiers of foam – one 3-inch memory foam layer and one 7-inch high-density support foam layer. The top layer offers body-contouring comfort and the right amount of bounce while the base part provides support and reduces motion. The exterior cover is a Tencel blend fabric – consisting of 10% percent Tencel lyocell 90% polyester. The use of Tencel makes it soft and breathable. If you are thinking of enjoying the plush comfort of memory foam, forget about it. For some strange reasons, the 10-inch mattress feels firmer than it should be. It could happen due to the lack of a transition foam layer. The stomach sleepers may really love it due to the firmness and it won’t be a problem for the back sleepers too. But, the side sleepers may develop soreness in the shoulder and hip areas. However, it will mold around the natural curves of your body – the head, neck, shoulders, and hips. Also, it won’t heat up like other memory foam mattresses because of the use of cooling gel and the Tencel cover. Lucid backs the product with a 10-year of warranty. The CertiPUR-US certification makes sure that the mattress does not contain any harmful elements. Careful manufacturing also ensures that it emits a low amount of VOCs – not contaminating indoor air quality. Can you get a quality kid’s mattress at less than $200? Yes, you can! 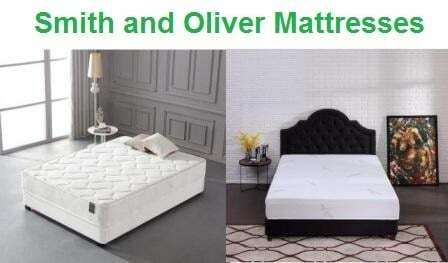 Oliver Smith offers a hybrid mattress at just a little more than $150. Don’t let the low price fool you. It offers the same quality and comfort as some of the big brand products. The mattress is delivered at your door rolled into a packet. Just take it to the bed frame, unpack, and give a day to decompress and dissipate the odor. The mattress consists of a 6-inch memory foam layers and another 6-inch layer of independently-encased tempered steel coils. 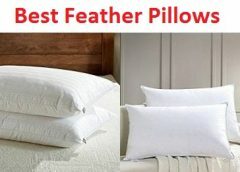 The exterior cover is made of organic cotton and the memory foam does not contain any toxic ingredient. Almost 15-gauge of pocket coils go into the support base, helping the mattress to hold its structure and providing great support to the curves and pressure points. People who love their mattress to be soft will love this one. Although Oliver Smith claims this unit to have a medium-firmness, it is softer than that. It helps with releasing pressure from key points by contouring around the curves. The mattress does not trap the body heat because of the ventilated memory foam layer and the organic cotton cover. But, there is no cooling gel treatment so the thick tier of memory foam can make the mattress warmer when the weather is hot. The edge support of this mattress is not great but it takes care of your spine and back. The foam used in the mattress is 100% green foam certified. It means that it is free from the odor and toxic fumes of synthetic materials. Oliver Smith offers a 30-day sleep trial, which is shorter compared to other mattresses in this list. However, it extends the limited warranty period to 20 years.